Related : Movie, Robert Downey Jr. 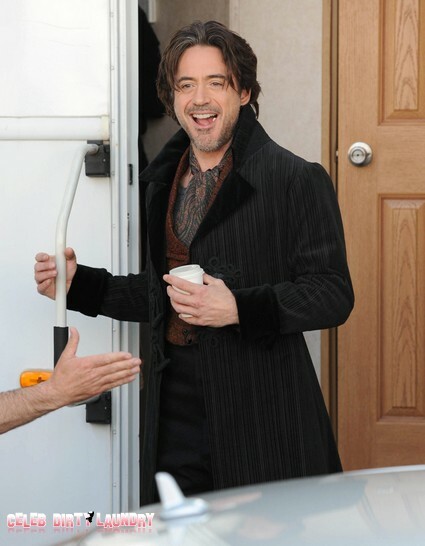 In the new movie Sherlock Holmes: A Game of Shadows, Robert Downey Jr. reprises his role of Sherlock Holmes again. There is no doubt that Robert Downey Jr. is a very talented actor and is very dedicated to his work, but how dedicated is he? Well, I didn’t know that his dedication meant that he would dress up in women’s clothing for one part in this film. The funniest thing about this story is that it wasn’t the director’s idea for him to dress up in drag for this certain part in the film, the original idea was to have him dress as a priest; in fact, this was all Downey’s idea to do it. He thought that the original plan was boring and that it would be better this way, I got to say he’s one ballsy guy! While making his decision Downey stuck to it, to the end, even though before he went on set dressed as a transvestite he started to feel a little self-conscious since he had to go out there dressed like that while everybody knew it was his all his idea. As long as Robert Downey Jr. makes the role he’s playing better, I don’t care what he has to do, as long as he does it right like he always does. What did Downey think of his appearance? He told E! News that he thought he looked like his sister training for the Russian Olympics. Breaking Dawn Triumphs Box Office – Obviously!